The goal of this thread is to identify buildings and landmarks of Los Angeles recreated within the world of GTA V.
Many buildings around Los Santos and its countryside have a real life counterpart in Los Angeles and Southern California. and ultimately, trying to recreate the game map ! Anyone may contribute to this thread. 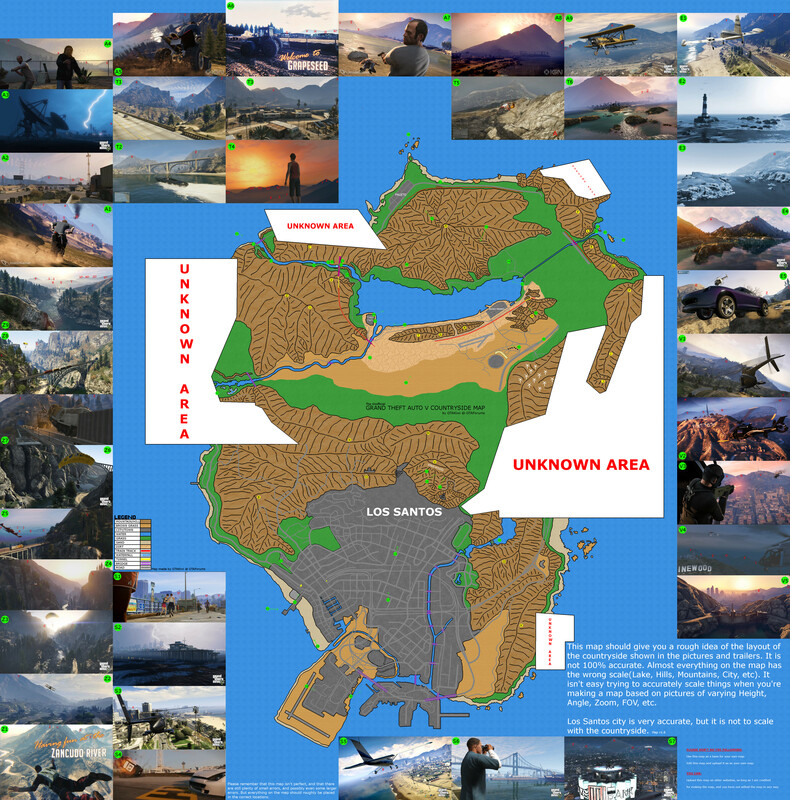 Check out all the real life buildings present in GTA V overlayed on the game map. Created by lxr, this map is constantly updated with the latest findings of this thread. lxr, koeklin, Wayne kerr, Mr Thingus and Fido_le_muet are working on it everyday. Share your discoveries on this thread and they will be added to the map. (If I missed you, please PM me and let me know). the sign that reads "Little Seoul" is a reference to Koreatown. That looks like Venice Beach based on the architecture and the 'piercings' sign that is so common in Venice Beach. Okay, I looked at the HD trailer. Sorry dude, it's a palm tree. Can someone ZOOM in on that spot? The Tequi-la-la (the place where the drunk dude got thrown out of) has to be a reference to the Whisky A Go Go. Wow, these are some very interesting places you guys have found! I personally live not too far away from Los Angeles but I wouldn't know the landmarks by heart. Have definitely been there, though. Anymore of these? Lets see if we can try and get most of the shots, i.e the city and what not. I agree that there is a palm tree briefly before that but higher up and closer to the foreground. Gametrailers think when they're robbing that building is Rodeo Drive, I think they could be right. While you may be right, I looked at the trailer a few times and I only see one palm and to the right, a group of palm trees. Anyway, here are buildings I've identified so far and their general zones. I'll update this image every chance I get. *I should note that Doheny Tower is just a guess based on the fact that it's the tallest building at the end of the Sunset Strip. Thats strange. i can roughly make out a building that looks like City Hall on the right side of Downtown. so im guessing city hall is to the east of downtown, as it is in real life. 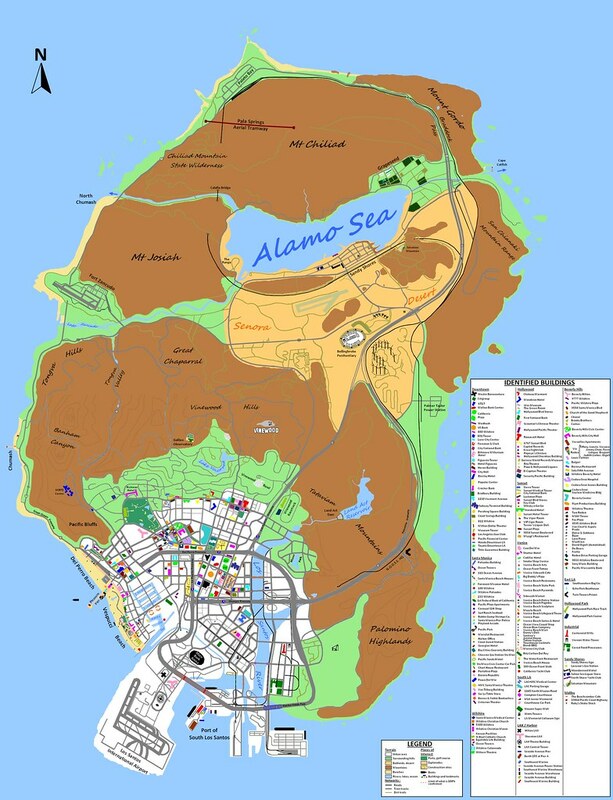 But then that would mean Hollywood in Los Santos is east of Downtown, when it's far west of Downtown in real life. and Hollywood seems to be MUCH closer to downtown than it is in real life. hmm. You know me sweet, Cool as a Shaolin Munk!! Nice work, guys. 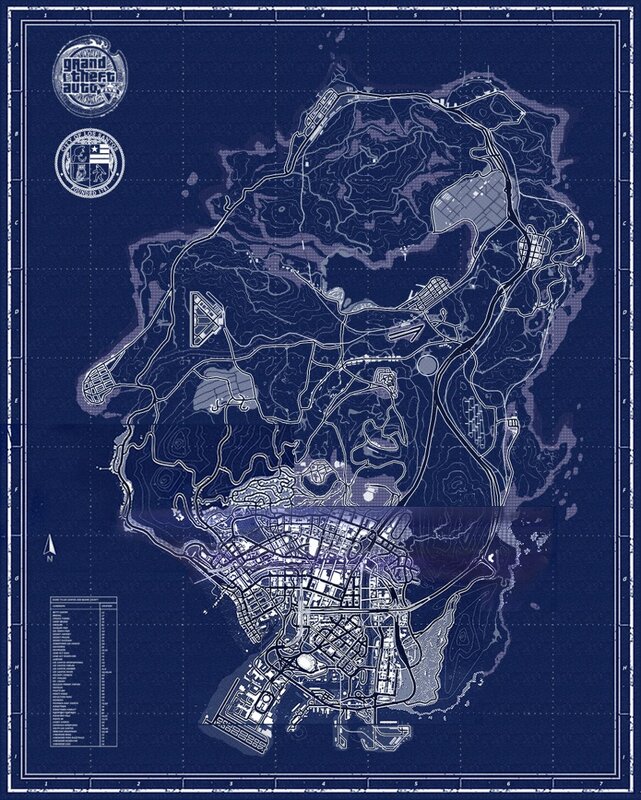 Are there any apparent similarities between this map and the map from L.A. Noire? the map from LA Noire is a nearly 100% exact, street by street recreation of a small portion of Los Angeles. 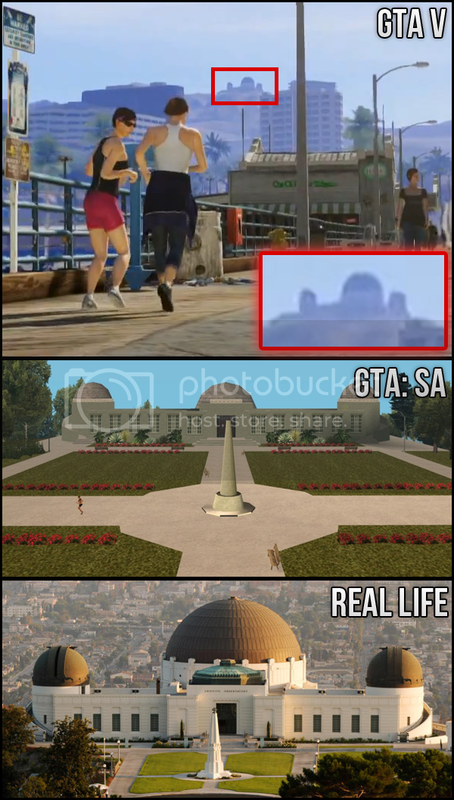 I'm guessing this wont be the case in GTA V because V doesn't actually take place in Los Angeles, it takes place in Los Santos. 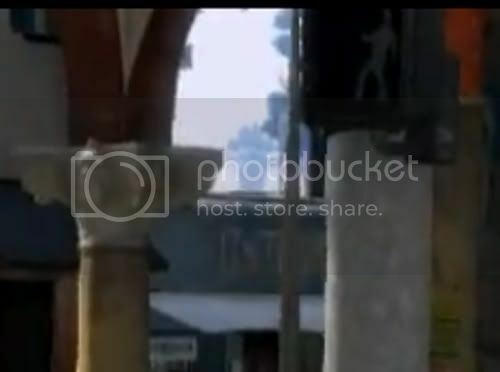 looking at the trailer it's obvious that Los Santos is not a street by street recreation of LA like LA Noire was. Now that you mention it, something is a little off with my map. The West Hollywood portion, I'm sure is fine. The actual portion of Hollywood may be off. In the previous scene, it shows the plane flying by the Vinewood sign. I'm gonna have to rethink this a little bit. That was what i was going to write, but then before posting i refreshed the topic page and saw that the first post was updated with an image of it aswell. Thank you! Rode Drive looks beautiful! Bins, benches, palm trees, blue metal fence. I played around with the light settings of the original screenshot. Hopefully this gives better outlines of buildings for easier identification. Great work guys! That's the kind of topic I like during the GTA pre-release hype. I found some more, let me update the pics. I'm also working on a map based on the trailer. I'll update this post soon.